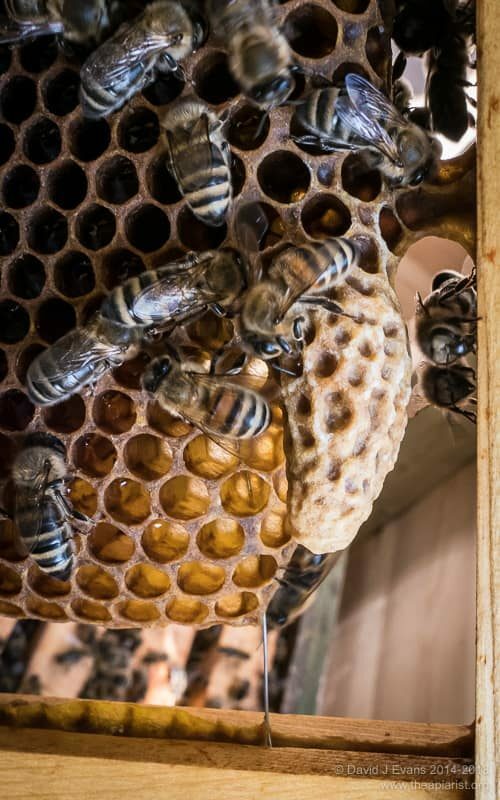 Except it doesn’t … you can make the queenright nuc up in a full hive, but use a dummy board to restrict their space. This isn’t ideal as the bees have lots of empty space to heat. You can and I have, but the queenright colony risks getting overcrowded quickly, or – if the weather turns inclement – running out of stores. 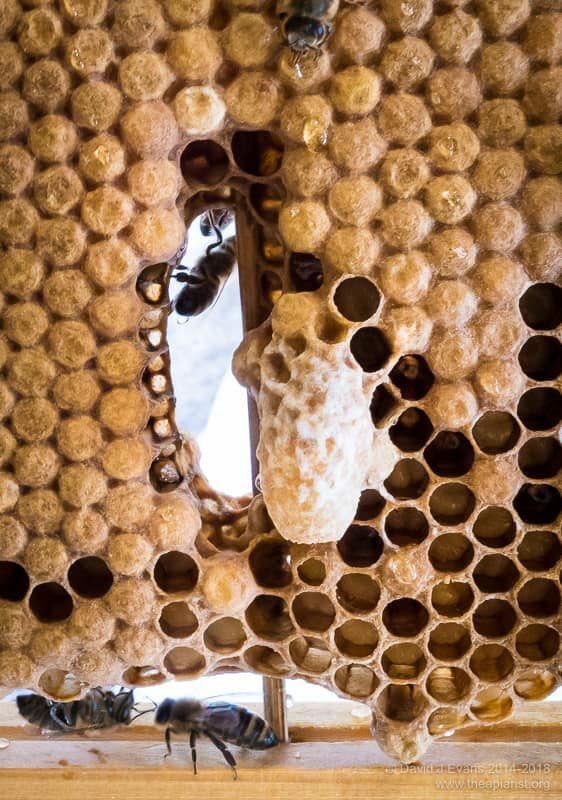 The weather influences this … poor weather can delay swarming, but not queen cell development. Consequently, as soon as the weather improves many hives will swarm and all hell breaks loose! 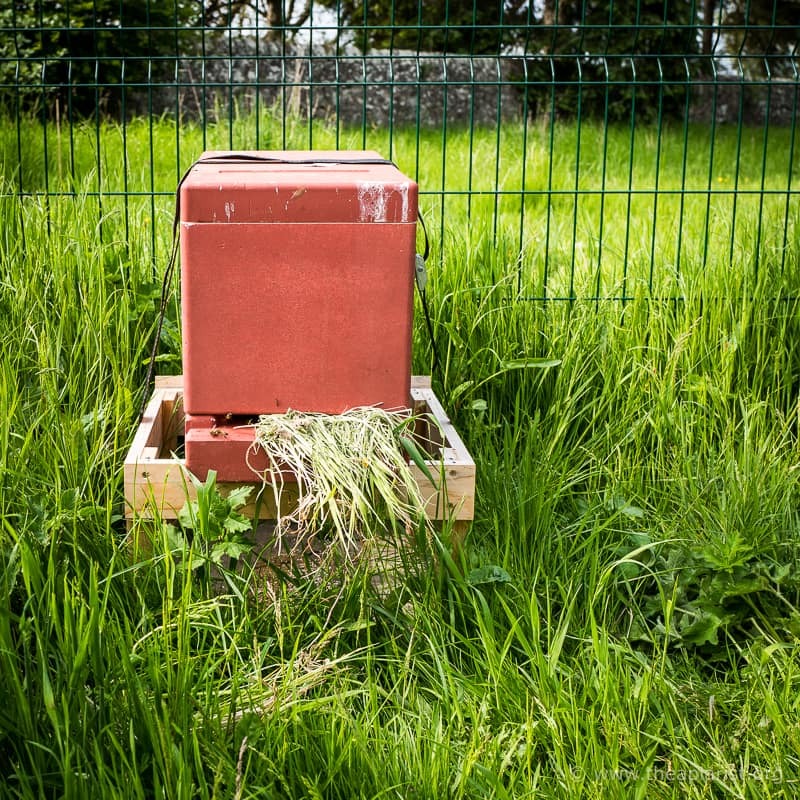 If you intend to move the nuc to an out apiary more than 3 miles away just seal the entrance for travel – see notes below. 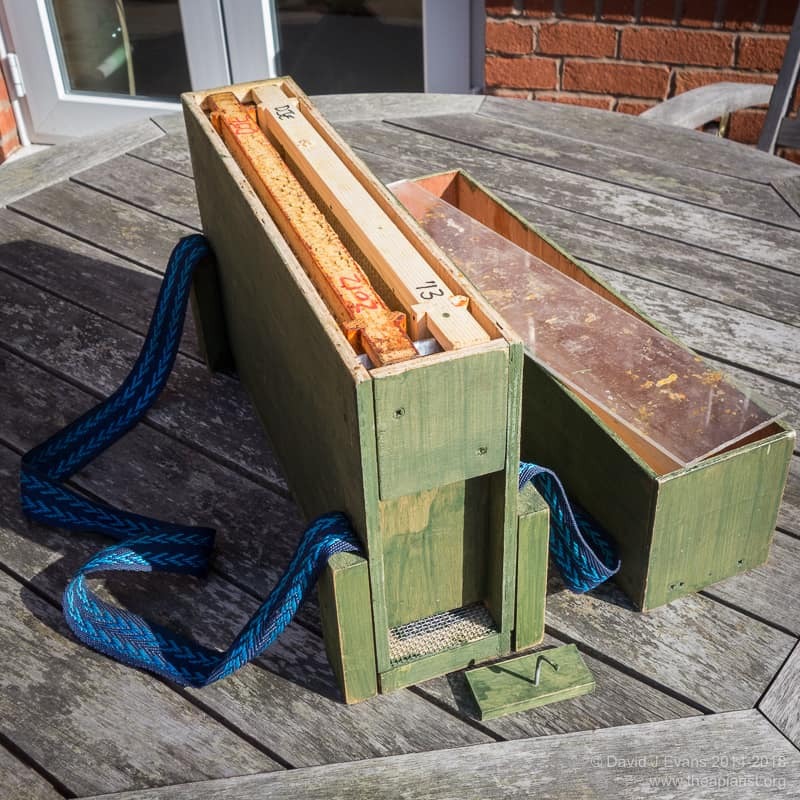 To preferentially add young bees you can gently shake the frame above the original hive to displace the flying bees, then firmly shake the adhering young bees into the nuc box. If you do it this way you’ll often have to shake three frames into the nuc. Lots of books or websites use this phrase, but rarely say how to destroy the cell. 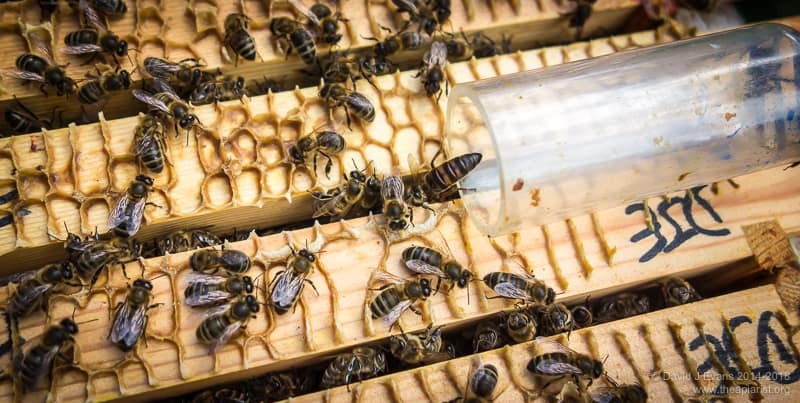 Simply squish it flat between your thumb and forefinger, or tear it out with the corner of the hive tool. Check the development diagram further up the page for confirmation of this timing. These were started a few days after you removed the queen so are less well developed. Particularly if some of the flying bees return from the nuc. I don’t actually think there’s compelling scientific evidence that supports this conclusion but it seems to make more sense than choosing a oddly shaped or stunted cell! This is the method I use for all colonies in the bee shed where vertical splits are not an option. I usually do this using newspaper. 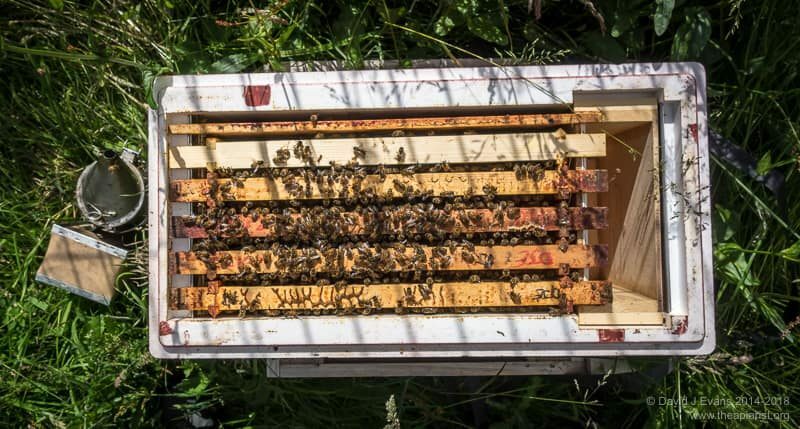 Having removed the queen from the nuc I place an empty brood box on the original colony and transfer the nuc frame-by-frame into it. I then fill the spare space with a fat dummy, or simply squeeze the frames up with a dummy board.